Parents often struggle to figure out family-friendly activities to try during weekends and holidays, but this needn’t be the case: Most people live within driving distance of a good lake or river, so consider teaching your kids how to fish on your next free day. Most kids love to learn the art of angling, and it provides parents with a great way to get their kids outside, where they can enjoy a bit of fresh air and sunshine. It’s also a fantastic bonding opportunity, during which you can help your children make memories that’ll last a lifetime. But you can’t just grab a couple of rods, head down to the water and expect your kids to have fun – much less any success. You have to plan carefully for the trip and incorporate a few tips and tricks that will help you put a smile on your kids’ faces and increase the odds of them catching fish. For example, you’ll want to target kid-friendly species that are bold and easy to catch, like bluegill and catfish, rather than the largemouth bass, trout and walleye, experienced anglers often pursue. You’ll also want to use real or live baits, such as worms or crickets, rather than the fancy artificial lures advanced anglers often prefer. Additionally, you must be sure to take care of your kids’ creature comforts, by picking a good fishing location. This typically means picking a low-traffic pond or lake, with plenty of room for the kids to learn to cast and reel without worrying about bothering other anglers. It’s also important to dress your children appropriately for the weather, as uncomfortable kids become cranky very quickly. 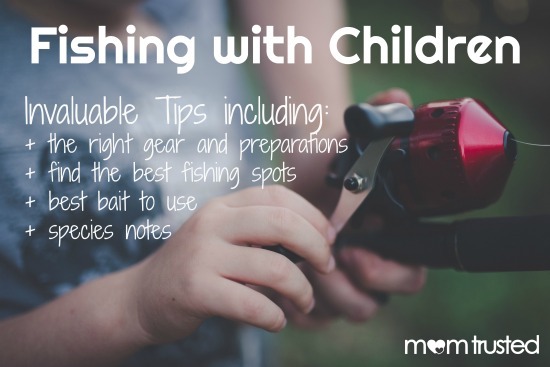 If you’d like to learn a few more tips and tricks for helping make your kids’ first fishing trip one to remember, cruise on over to Outdoor Empire and read their comprehensive review of the subject. There, you’ll learn more strategies for picking gear, selecting a location and targeting the best fish available.